Getting your Real Estate license in your state takes time and effort. The breadth of material that is covered on the exam is comprehensive and diverse. Our goal at Train4Less is to provide you with the highest quality exam prep courses for your use as you prepare to take your license exam. These online courses are made available to you 24 hours a day, seven days a week. There’s absolutely no better way to study and review for your exam than to enroll in one of our exam prep courses. In general, if you are starting our, you’ll want to enroll in our pre-licensing course that presents all the material you’ll need to know to take your exam. That course presents, in a detail manner, the main topics that will be on your state exam. This includes Real Estate principles, terminology, Agencies, Contract Law, Finance/Math and even sales basics and strategies. This pre-licensing will take up most of your time in your exam studying. 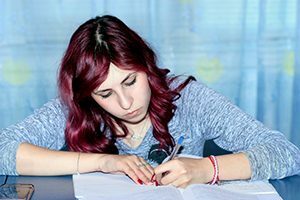 Once you finish that course (which is actually several mini-courses combined) you’ll be ready to test your knowledge by taking one of our exam prep courses. At Train4Less, we know your time is precious. Our course work is designed to help you pass your Real Estate Exam on the first try. Our exam prep courses will ensure that there are no surprises on the day of your exam. You will feel prepared and confident by investing the time now, so don’t wait! Enroll right away and start your career off on the right track. These prep courses include practice exams that can indicate your readiness to test. Drills and practice work will help you check your knowledge of state requirements for licensing. You will be able to test yourself and target areas where improvement is needed. Don’t miss out on the opportunity to prepare for your Real Estate Exam virtually anywhere. Let’s get started! This exam prep is provided to those students who are preparing to take the state-mandated exam to become Real Estate Brokers in their state. It is not an official or otherwise sanctioned testing mechanism, and is meant merely to provide a determination of your preparedness for taking the Proctored Exam given by PSI (Psychological Services, Inc.) in your state. This is the national portion of the exam. In order for this testing module to be truly effective you should have completed broker educational coursework. This exam prep is provided to those students who are preparing to take the state-mandated exam to become Real Estate Licensees in Florida. It is not an official or otherwise sanctioned testing mechanism, and is meant merely to provide a determination of your preparedness for taking the Proctored Exam given by PROMISSOR in Florida. This is the national portion of the exam. In order for this testing module to be truly effective you should have completed broker educational coursework. Like the official exam that you will take to gain your license, this test is comprised of questions dealing with issues applicable nationwide, and with Florida -specific issues. This exam prep is provided to those students who are preparing to take the state-mandated exam to become Real Estate Brokers in Georgia. It is not an official or otherwise sanctioned testing mechanism, and is meant merely to provide a determination of your preparedness for taking the Proctored Exam given by the DRE in Alabama. In order for this testing module to be truly effective you should have completed broker educational coursework of Georgia. This exam prep is provided to those students who are preparing to take the state-mandated exam to become Real Estate Brokers in Michigan. It is not an official or otherwise sanctioned testing mechanism, and is meant merely to provide a determination of your preparedness for taking the Proctored Exam given by the DRE in Michigan. In order for this testing module to be truly effective you should have completed broker educational coursework of Michigan. This exam prep is provided to those students who are preparing to take the state-mandated exam to become Real Estate Brokers in Nevada. It is not an official or otherwise sanctioned testing mechanism, and is meant merely to provide a determination of your preparedness for taking the Proctored Exam given by the DRE in Nevada. In order for this testing module to be truly effective you should have completed broker educational coursework of Nevada. New York National Salesperson Exam Prep $79.00 This exam prep is provided to those students who are preparing to take the state-mandated exam to become Real Estate Licensees in their state. It is not an official or otherwise sanctioned testing mechanism, and is meant merely to provide a determination of your preparedness for taking the Proctored Exam given by PSI (Psychological Services, Inc.) in your state. This is the national portion of the exam. In order for this testing module to be truly effective you should have completed pre-license educational coursework. This exam prep is provided to those students who are preparing to take the state-mandated exam to become Real Estate Brokers in Oklahoma. It is not an official or otherwise sanctioned testing mechanism, and is meant merely to provide a determination of your preparedness for taking the Proctored Exam given by the DRE in Oklahoma. In order for this testing module to be truly effective you should have completed broker educational coursework of Oklahoma. This exam prep is provided to those students who are preparing to take the state-mandated exam to become Real Estate Brokers in South Carolina. It is not an official or otherwise sanctioned testing mechanism, and is meant merely to provide a determination of your preparedness for taking the Proctored Exam given by the DRE in South Carolina. In order for this testing module to be truly effective you should have completed broker educational coursework of South Carolina. Texas Texas Exam Prep $79.00 This training program has been specially designed to help you overcome any fears or anxiety you may have about taking the Real Estate Salesperson/Broker licensing Exams. • Exams are generated from a databank of 1000's of possible test questions • 100% online... Take anytime from anywhere! Texas National Salesperson Exam Prep $79.00 This exam prep is provided to those students who are preparing to take the state-mandated exam to become Real Estate Licensees in their state. It is not an official or otherwise sanctioned testing mechanism, and is meant merely to provide a determination of your preparedness for taking the Proctored Exam given by PSI (Psychological Services, Inc.) in your state. This is the national portion of the exam. In order for this testing module to be truly effective you should have completed pre-license educational coursework. This exam prep is provided to those students who are preparing to take the state-mandated exam to become Real Estate Brokers in Washington. It is not an official or otherwise sanctioned testing mechanism, and is meant merely to provide a determination of your preparedness for taking the Proctored Exam given by the DRE in Washington. In order for this testing module to be truly effective you should have completed broker educational coursework of Washington.